30 December 2012 – Ecosoft, together with Raja Cycle and Migrant Education Coordination Center (under Tak Education Area 2) organize the annual giving day 2012. 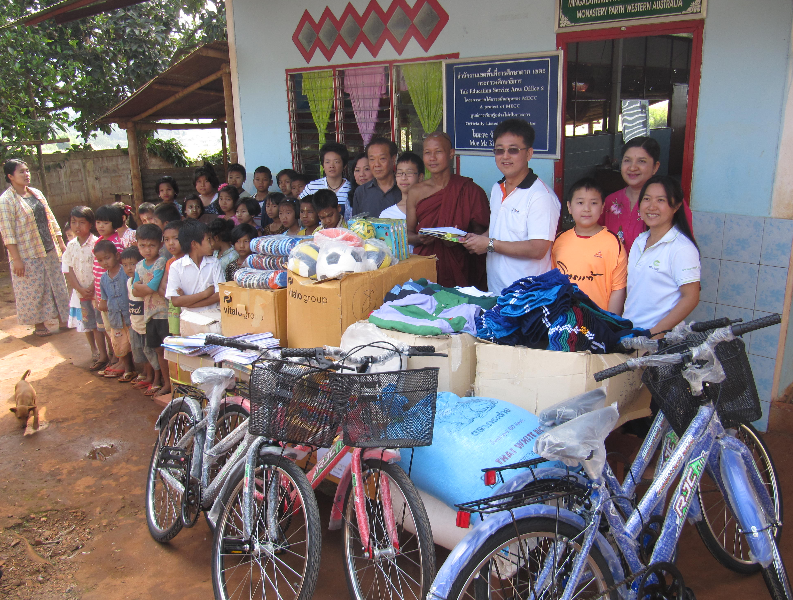 This year we donated 20 bicycles, sport equipment, cloths and food to teacher and children of 5 migrant schools in Maesot, Tak. These 5 schools located on the Thai-Myanmar border, together supporting more than 500 migrant children. They are suffering from political crisis, poverty and poor living condition. Apart from committing to contribute to the open source world, Ecosoft is commit to contribute its share back to the society.